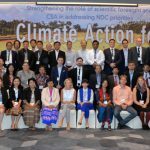 Dr. Margaret Yoovatana of the Thai Department of Agriculture, in her capacity as Chair or the ASEAN Climate Resilience Network (ASEAN-CRN), joins the side-event on “The Policy Advantage: The science-policy interface for climate smart agriculture action: What are the lessons learned?” on 10 November 2017 at the 23rd Conference of Parties (COP23) in Bonn, Germany. 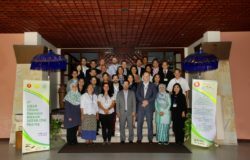 Her participation is supported by the Forestry and Climate Change (FOR-CC) project under the ASEAN-German Programme on Response to Climate Change in Agriculture and Forestry. 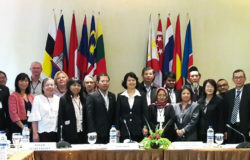 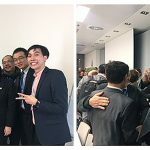 She will share the experiences, challenges, lessons learned and success stories in bringing scientific advice to policy-making through the ASEAN-CRN platform, which promotes climate resiliency through exchange of information, expertise, and experiences on Climate Smart Agriculture practices among ASEAN member states. 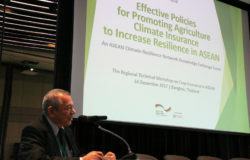 This side-event is organized by the CGIAR Research Program on Climate Change, Agriculture and Food Security (CCAFS).